Are you considering hiring a personal trainer in Raleigh NC? Wondering if it’s worth your time, money, and effort? Are just not sure about what to do next? We’ll you’re in luck. CrossFit Invoke is the number one gym in Raleigh for answering all of your health, wellness, and personal fitness training questions. In the space below, we’re going to give you some of the top reasons why you should start working with a qualified personal trainer today. If you’re read to get started, click here to sign up for a free class at CrossFit Invoke! Otherwise, let’s dive right on in. Why Should You Hire A Personal Trainer in Raleigh? Have you been struggling to keep your weight in check? Is your regular gym membership really not helping? Do you get frustrated from not making the gains you were hoping to see? Having trouble hitting your health and fitness goals? If you’ve answered yes to any of these questions, then seeking out the help from a professional personal trainer can really be beneficial for you. Call CrossFit Invoke today to learn more about our individual and group personal training programs in Raleigh. Have you made the decision to get healthy, but you’re unsure of how to get started? Unfortunately, lots of people make bad choices when they decide to get healthy and start exercising. They automatically think joining a chain gym is the best route to personal fitness. This can often times lead to inefficient workouts, sporadic exercising frequency, little accountability, overall fitness goal failure, and possibly a sports injury. Hiring a personal trainer in Raleigh can make sure that you’re starting off on the right foot. Calling CrossFit Invoke can help you on your journey. You’ll gain so much fitness knowledge from our certified expert trainers. This will always help you reach your health and wellness goals. From proper form and techniques to dietary and nutrition, CrossFit Invoke can help you with all of it. Call today to learn more. If you have a medical condition then working with a personal trainer can be very beneficial. Research studies have shown that regular exercise can help people manage their diabetes, heart disease, hypertension, and more. However, exercising with a medical condition can be risky if you’re not working out correctly. The personal trainers at CrossFit Invoke have the knowledge and experience to design custom exercise programs that will ensure your safety and provide you with a positive experience. Regardless of your injury or medical condition, CrossFit Invoke can help you. 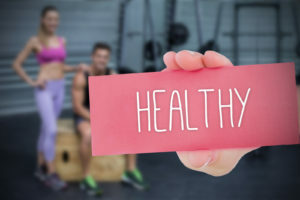 Lot’s of people fail at getting healthy for two big reasons. These are accountability and motivation. Finding the motivation to get up and go to the gym on a regular schedule is really hard for some people. When they skip out, there is usually no one to hold them accountable for their actions. A personal trainer can fix that. When you have invested money and time into making an appointment with your doctor, you’re going to be motivated to make that appointment. The same goes with working with a personal trainer. This factor alone helps avoid skipping workouts. Plus, your personal trainer is a natural motivator. He or she will constantly be pumping you up. They will be pushing you to always give it 110%. They’ll be pulling for you when times are hard and you’re feeling down. So if you need motivation and accountability, call CrossFit Invoke. What Gym Has the Best Personal Trainer in Raleigh? CrossFit Invoke! Want to make a life change for the better? Want to get in the best shape you’ve ever been in? Why not work with a top rated, affordable personal trainer in Raleigh NC? If you really want to get in the best shape of your life and push yourself to new limits, make the call to CrossFit Invoke. We offer free fitness classes to non-members and free community workouts once a month. Come out and see why we’re the best gym in Raleigh NC. After all, there’s no obligation to join. When you’re ready to take your fitness levels to new heights, give our personal trainer a call or fitness center today!